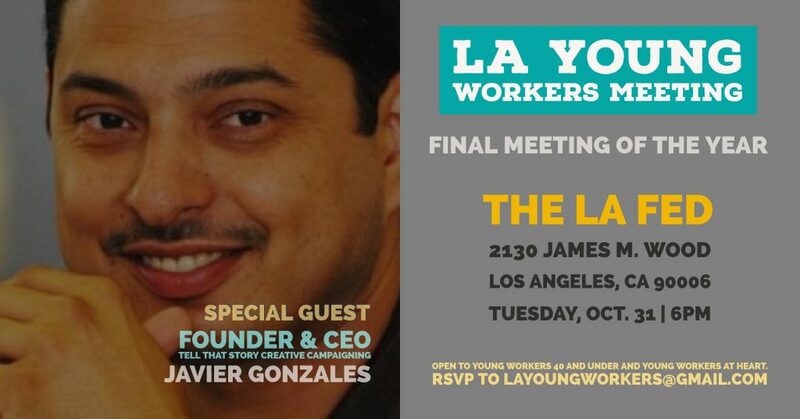 Who: Guest Speaker: Javier Gonzales, Founder/CEO, “Tell That Story” Creative Campaigning – An experienced election campaigner with a strong track record of success, Javier has over 20 years of experience in labor, community and political organizing. He has worked in many diverse communities nationwide, and has particular expertise in field outreach and messaging. “Tell That Story” focuses on campaign and field management, strategic planning and messaging.